During a period in the 1980’s, the focus began to shift from muscle to super cars. Having a large wallet helps if you want to collect super cars, and the launch of the Koenigsegg CCXR Trevita Supercar proves this. Coming with an insane 1018HP as standard, this monster is definitely classed as a hyper car. 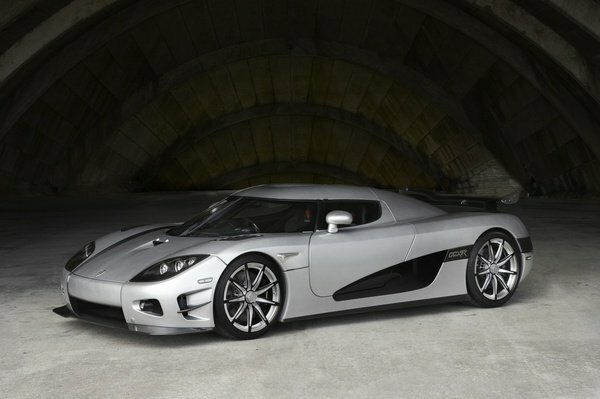 Brought out in 2006-2010 in the CCX edition, there were only 49 manufactured. The Trevita supercar edition? There’s only three available on the planet. 0-200 km/h 8.75 sec. 0-200-0 km/h 13.55 sec. Truly a sight to behold, the Trevita comes with a unique bodywork to die for. Built with carbon fibre honeycomb construction and integrated fuel tanks, the Trevita is optimised for going extremely fast. With a twin supercharged DOHC aluminium V8 engine, this thing really flies. Feel like dropping a few more dollars on this monster? Might as well make it an even 5 million with 3-kilogram carbon fibre wheels. Visible shimmering diamond weave carbon body, paddle-shift, inconel exhaust system, rear parking sensor, dual airbags, double carbon wing, winglets, large front splitter, detachable stowable hardtop with glass roof, power windows, adjustable pedals and steering column, adjustable seats in rake and length, carbon ceramic brakes with ABS, hydraulic lifting system, power steering, power brakes, satnav, MP3 Player, USB connection, climate control, digital warning and info system, G sensor, alarm, tyre monitoring system, silver key, leather carpets, roof stowage bag, car cover, forged aluminium wheels and chrono instrument cluster.